Richard Perry will visit Ukraine in the coming weeks. 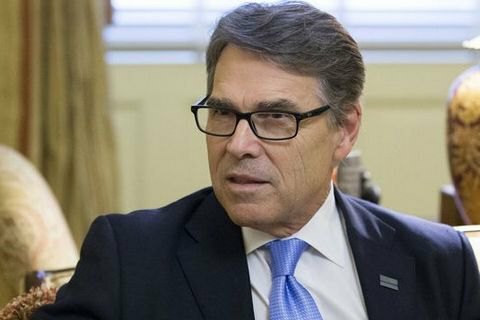 The visit of US Energy Secretary James Richard Perry to Ukraine in August may facilitate the privatization of regional energy distribution companies (oblenergos) slated to be held this month, some Ukrainian media have suggested. Ukrainian President Petro Poroshenko announced Richard Perry's visit in an interview with TV channels in June. Poroshenko noted that "the participation of American companies in the privatization of Ukrainian energy companies" was high on the agenda of Perry's visit. During his visit to Kyiv, Perry will familiarize himself with the first auctions for the sale of oblenergos planned for August, and then give recommendations to potential US investors. His conclusions will be critical for the IMF, whose leadership previously expressed dissatisfaction with the frozen privatization in Ukraine. In this sense, the visit is fundamentally important and significant, Ukrainian experts note. In August, Ukraine plans to auction off government-owned minority stakes in eight energy companies – PJSC Odesaoblenergo, Donetskoblenergo, Donbasenergo, Sumyoblenergo, Dniproenergo, Dniproblenergo, Zakhidenergo and Kyivenergo. The State Property Fund of Ukraine (SPF) announced all interested companies and individuals will be invited to take part in privatisation except for the representatives of the aggressor state. The SPF has worked out the auction rules in cooperation with the consulting companies Deloitte, Ernst & Young, SARS Capital, international financial organizations – the EBRD, the IMF, and with the support of USAID, the US embassy and the EU mission in Ukraine. The government said that successful sale of stakes in eight energy companies will mark the beginning of a "big privatization", recommended by Western partners and the main creditors of Ukraine, particularly the IMF. President Poroshenko during a visit to Washington on 20 June held talks with the US Secretary of Energy. Poroshenko expressed gratitude for the US significant practical assistance in strengthening Ukraine's energy security. He expressed interest in the wider involvement of modern American technologies and best practices in the energy sector. The development of mutually beneficial cooperation between Ukraine and the United States in the energy sector has great potential, Poroshenko said and welcomed the active interest of American energy companies in Ukraine.